Brisbane - The Waratahs were far from their best but had more than enough quality to beat a toothless Reds 23-5 in an Australian Super Rugby derby on Saturday. 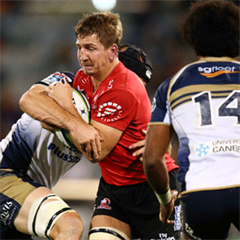 Despite coming nowhere close to the heights of attacking play they reached in winning the title last year, the Waratahs always looked in charge of the latest instalment of a rivalry that goes back to 1882. Waratahs flyhalf Bernard Foley scored the only try of the first half and contributed 13 points from the kicking tee, while winger Peter Betham sprinted 75 metres to score the second try in the 66th minute. Queensland switched James O'Connor to fullback and brought reserve scrumhalf Nick Frisby in at flyhalf just before the match but to say it was no tactical masterstroke from coach Richard Graham would be an understatement. Frisby was rarely able to get the backline moving forward and O'Connor was already covered by several defenders on the rare occasions he got the ball. 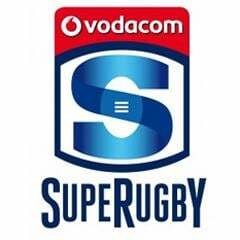 The Reds looked like being shut out until lock Marco Kotze, a late replacement for James Horwill, crossed from close range in the final minute but O'Connor missed the conversion and both of his penalty attempts. Wallabies flyhalf Foley, by contrast, made all five of his kicks, the first two giving the visitors a 6-0 lead by the time he scored his try in the 24th minute. Quick ball along the Waratahs backline set Matt Carraro free along the touch line and the centre's bullet of an inside pass gave Foley the simplest of finishes. But for their handling errors, the Waratahs would have put the match out of the reach of the Reds long before Betham shook off a single midfield tackler just outside his 22 and ran untouched to touch down under the posts.